With its Smart Cities Mission, India hopes to generate a co-operative urban development model that can be adopted and replicated elsewhere. The following report considers the Indian smart cities market from a real estate point of view, combining market lessons learned with personal career and management lessons learned by Indian market professionals. As of 2017, 33% of India’s total population was living in urban areas. As the cities provide the bulk of the country’s GDP, the search for economic opportunities leads ever-larger numbers of people to migrate toward these areas. With a total population of 1.35 billion people and a growth of around 1.1% per year, this rapid trend toward increased urbanization presents a challenge in terms of maintaining a good quality of urban life in India. Housing problems in cities have led to the large-scale generation of slums, which in 2011 made up about a quarter of all city housing. Such shortfalls in the required infrastructure and in the policies to rectify it are being blamed on too-strict land-use plans maintained by fragmented local governments, which cannot effectively cater to the ongoing rapid changes and the needs of especially the poorer urban community. These issues make it impossible to properly deliver necessary city services or to manage critical systems such as transportation and waste, presenting the looming danger that India’s future cities will be far from safe and inclusive. the appropriate application of smart solutions. As part of the Smart Cities Mission, 100 projects have been chosen for funding, affecting over 99 million people. With such a heavy focus on infrastructure, these projects will have a direct impact on the real estate market, where a change of winds in real estate capital movement is renewing investors’ interest in warehousing and retail and shifting the focus toward pre-leased office space. The strong economic growth in India has already attracted institutional investors, such as sovereign funds, pension funds, real estate funds, and pure private equity funds. The Smart Cities Mission is currently in its fourth round, and the country will enter its next smart city phase after the elections in 2019.  Going forward, India can be expected to exploit its strong IT backbone and entrepreneurial mindset to realize its huge potential to ramp up the creation and development of technical (GovTech, PropTech) and human-centric (CivicTech) smart city solutions. With its Smart Cities Mission, India hopes to generate a co-operative urban development model that can be adopted and replicated elsewhere. The second international excursion of the alumni association of the EBZ Business School Bochum attempted to gain insight into the Indian example for the real estate industry. 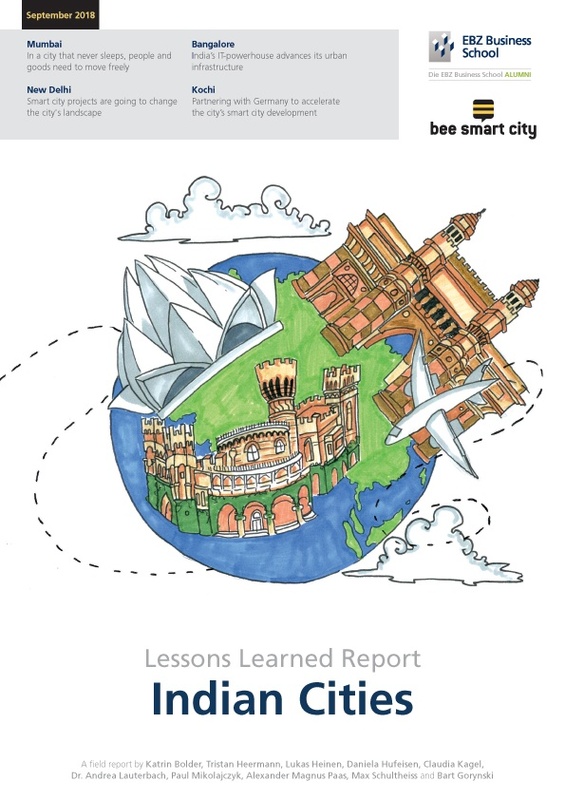 The following report therefore considers the Indian smart city from a real estate point of view, combining market lessons learned with personal career and management lessons learned by Indian market professionals. Register via the form on the right to download the Lessons Learned Report: Indian Cities.